Colorado is one of the wold's premier ski and snowboard destinations. 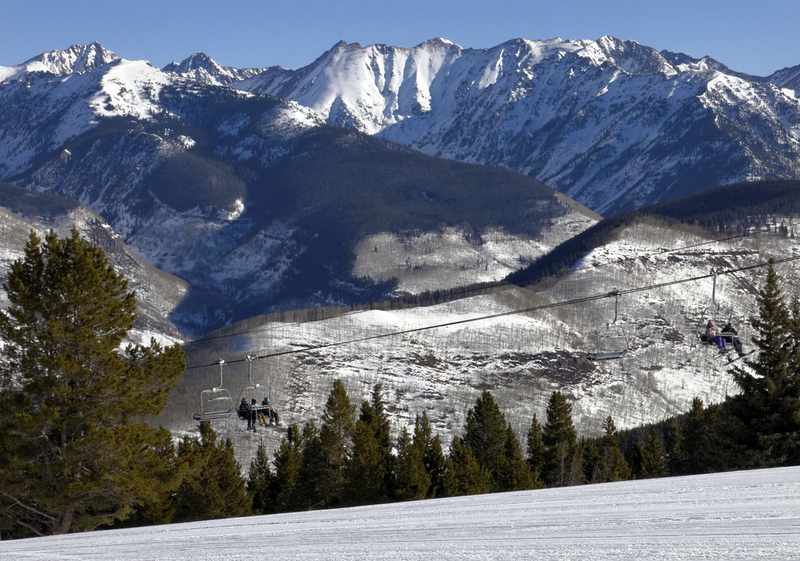 Colorado state is famous for its Rocky Mountain powder, sunshine, and huge ski areas like Vail and Aspen Snowmass. 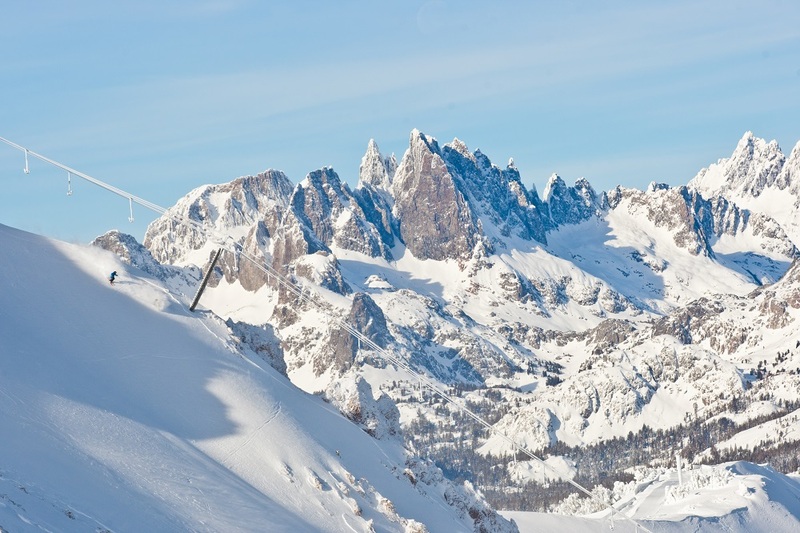 While these mega-resorts certainly have a lot to offer, there are also some smaller areas like Wolf Creek and Monarch Pass with fewer crowds and more laid-back vibes. The sheer number of ski area in Colorado means that there is something for every skier and snowboarder, from families to powderhounds. The Rocky Mountains run right through the center of Colorado, and are home to the state’s wide variety of ski and snowboard areas. There are several ski and snowboard areas right off of I-70, which brings skiers and snowboarders up from Denver, Boulder, and the Front Range. 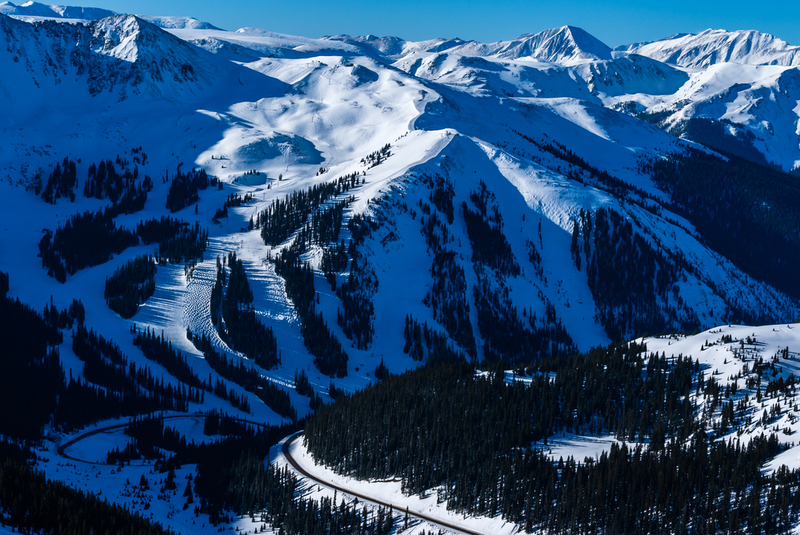 Loveland, Arapahoe Basin, Keystone, Breckenridge, Copper, Vail and Beaver Creek are all located in the I-70 Corridor. These are the closest ski and snowboard areas to Denver, and some of the most popular in Colorado state. Ski traffic up and down I-70 has grown steadily over the years as more and more skiers and snowboarders head to the slopes, so plan accordingly. Although these colorado ski areas are no secret, they still have amazing skiing and snowboarding. Vail Resorts owns or operates all of these areas, except for Loveland and Copper, making multi-resort trips easy. The ski and snowboard areas in southern Colorado can often be overlooked, however, this is where some of the deepest powder and best resorts in Colorado are located. 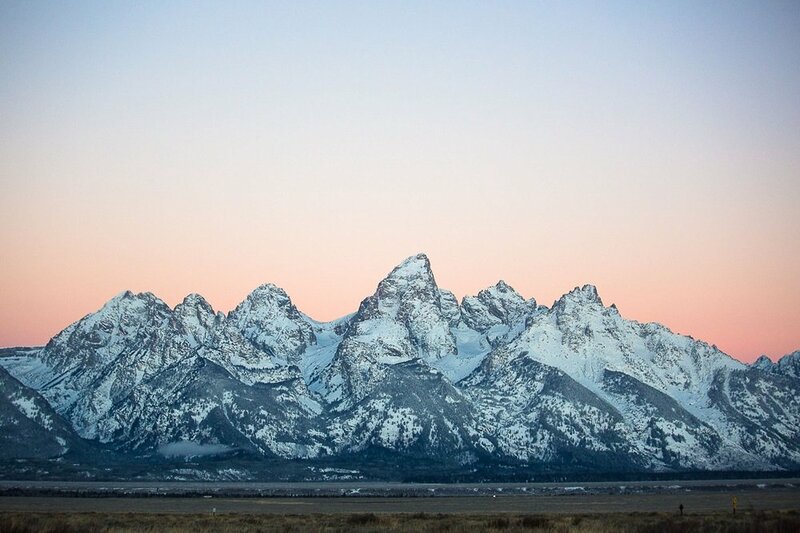 Aspen Snowmass, Telluride, and Crested Butte are the most popular ski and snowboard areas in this region. The lesser known ski areas like Wolf Creek Pass, Monarch and Silverton, however, hold some of the best snow in Colorado, combined with lower prices and fewer crowds. There are several other ski and snowboard areas dotted across Colorado as well, like Winter Park and Steamboat. This overwhelming bounty, makes it all but impossible to hit every ski and snowboard area in Colorado in one trip. That’s not an issue, however, because once you get a taste of the rocky mountains, you’ll already be planning your next trip! 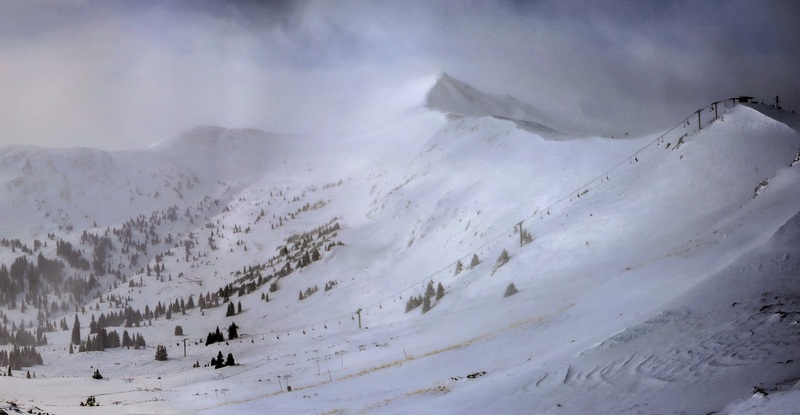 Arapahoe Basin is often the first ski and snowboard area in the United States to open, around mid-October every fall. Located just over Loveland Pass from I-70, Arapahoe Basin, or simply A-Basin, is one of the least developed and least crowded ski and snowboard areas in central Colorado. The ski and snowboard area still has a full complement of modern restaurants and services. 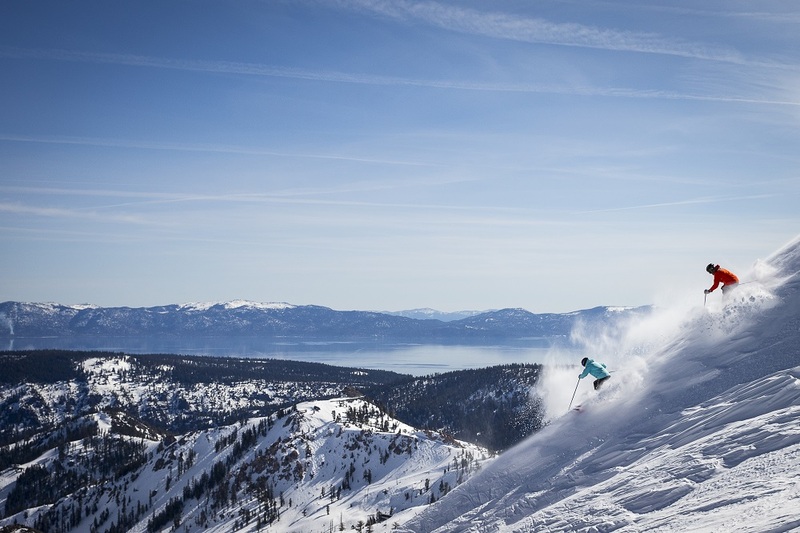 The ski area nearly doubled in size in the 2007 winter with the opening of the backside Montezuma Bowl, which opened an additional 400 acres of alpine and glade skiing and snowboarding. 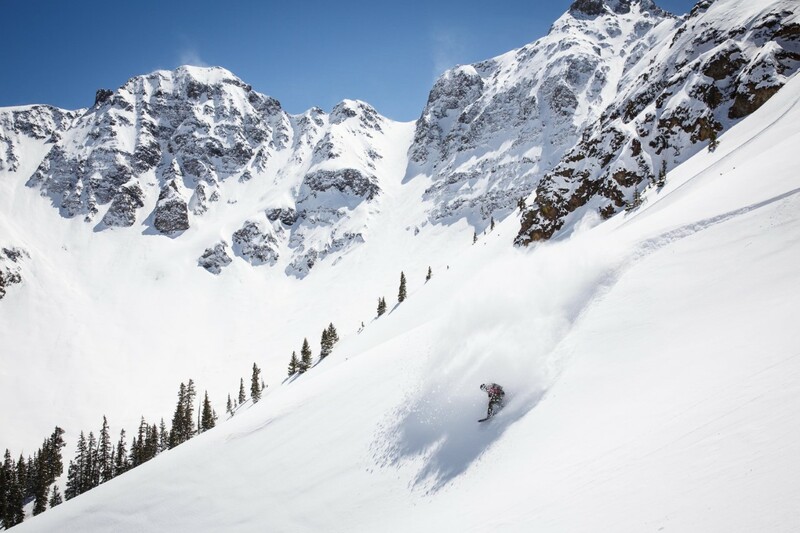 Arapahoe Basin also has one of the longest seasons in Colorado, staying open into June. The late season tailgating in the famous parking lot known as “The Beach” is a Colorado classic. Eldora Mountain Resort is the closest ski area to Boulder, just a 30 minute drive up Boulder Canyon. 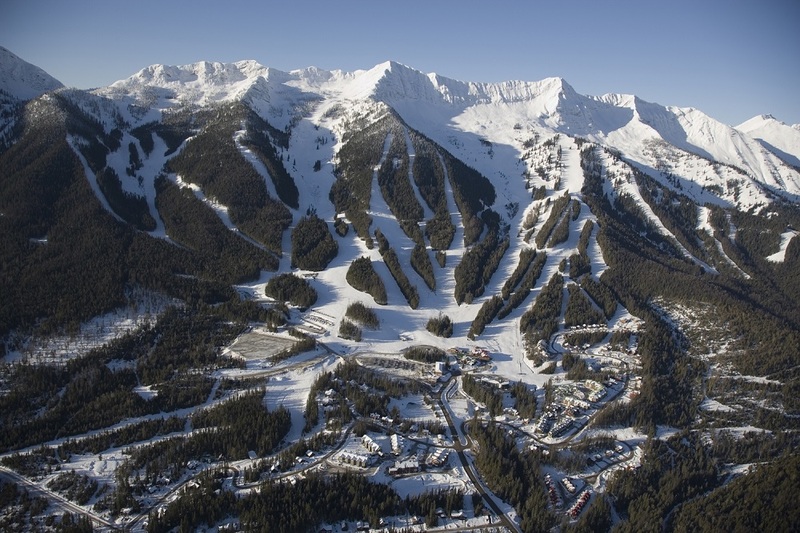 Eldora is a small ski and Snowboard area by Colorado standards, with 600 acres of skiable terrain over 1,600’ vertical. Due to its location in the Front Range, Eldora sometimes picks up Colorado snowstorms that miss other ski areas, making for some deep powder skiing and snowboarding in the Eldora’s fun gladed terrain. 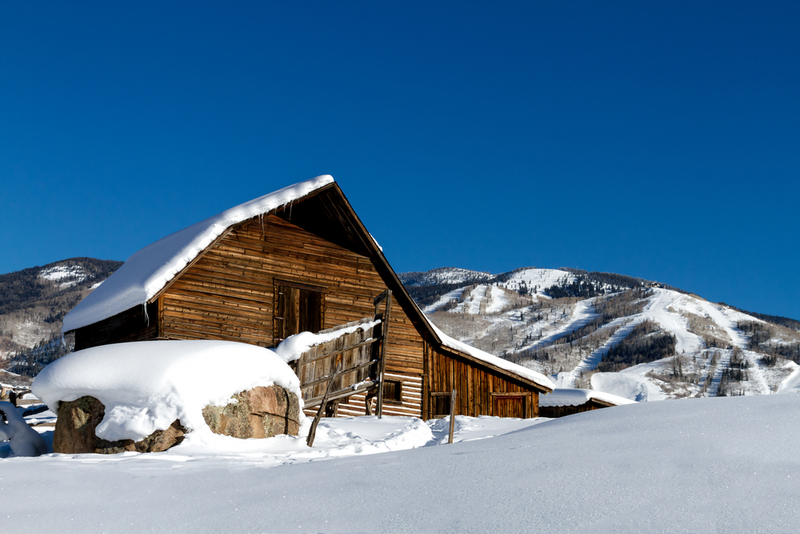 Famous for its deep powder and ample numbers of celebrity homes, Aspen Snowmass has an amazing 5,500 acres of skiable acres across its four ski areas: Aspen Mountain or Ajax, Snowmass, Buttermilk, and Aspen Highlands. The town itself has a unique balance of ski bums, families, and vacationing celebrities, while the four ski areas offer some of the best skiing and snowboarding in Colorado. 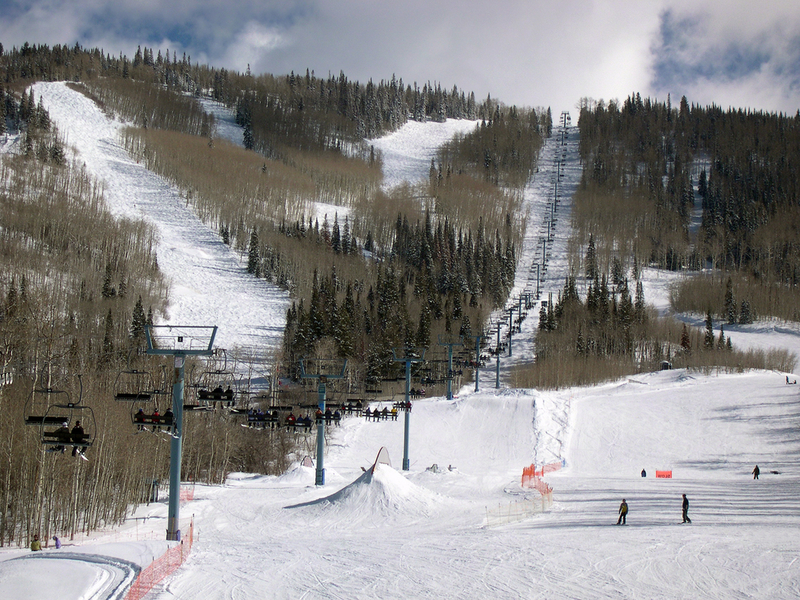 Aspen Snowmass also builds some of the best terrain parks in the world, which play host to the X Games every winter. 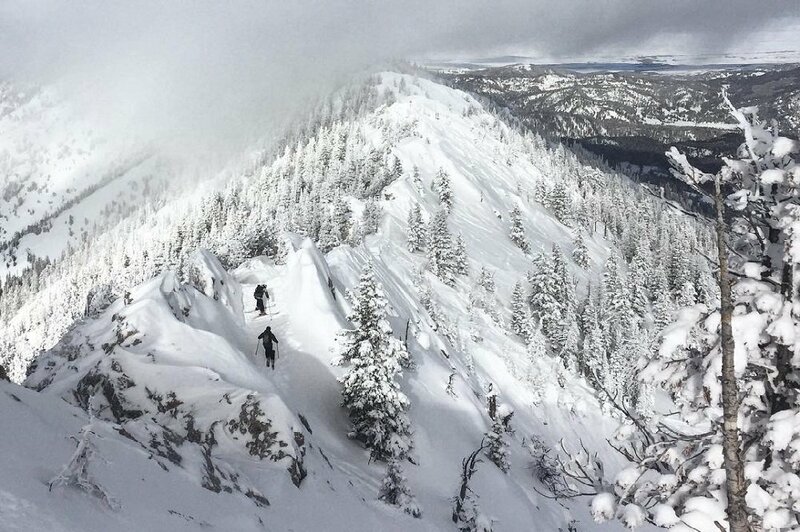 Advanced skiers and snowboarders love to head over to Aspen Highlands to hike the legendary Highlands Bowl. This massive alpine bowl, has some scary steep skiing and unreal views from the top, it’s well worth the hike. With variety, luxury, and its own private airport, Aspen is an awesome Colorado skiing and snowboarding destination. The closest ski and snowboard area to Denver, Loveland is a great old-school, family oriented area that also has some fun and challenging terrain. Loveland is unaffiliated with Vail Resorts, which means it is not on the same season pass as the other ski areas in the I-70 corridor; this means far fewer crowds. The chairlifts reach high up onto the continental divide, where skiers and boarders can drop in on steep alpine bowls and grab great views over Colorado. A free shuttle ride down the road, Loveland Valleyprovides a great, separate learning area for beginners. Skip the ski traffic and explore this hidden gem for some great Colorado powder skiing and snowboarding. Famous for its trademarked Champagne Powder and cowboy image, Steamboat draws skiers and snowboarders from around the world every winter. With 349” of annual snowfall, and plenty of great terrain, Steamboat is a nice option for skiers and snowboarders that want a full Colorado experience without the crowds of the I-70 corridor. Unlike a lot of Colorado ski areas, most of Steamboat’s terrain is below tree level, so there are no alpine bowls, but the tree skiing and snowboarding is some of the best in the state. Vail is likely the most notorious ski and snowboard area in Colorado, with its legendary back bowls and storied history. 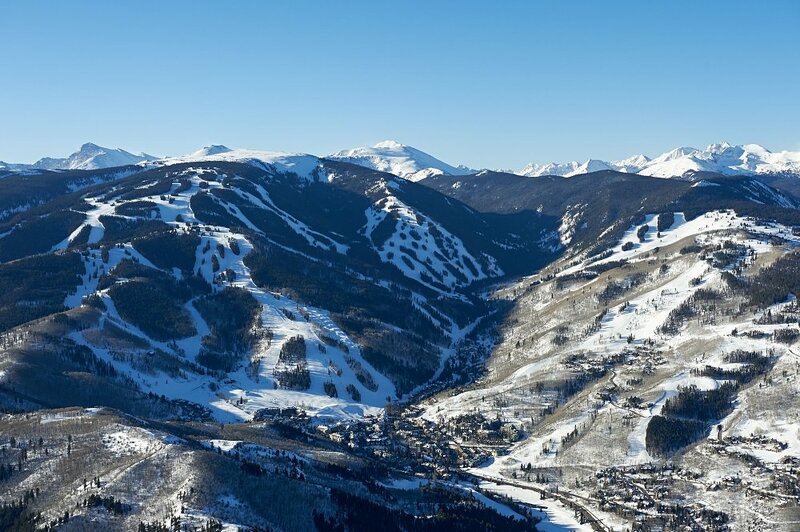 Vail is one of the most expensive ski and snowboard areas in the world, however, skiers and snowboarders are rewarded with a huge, 5,289 acres, selection of terrain and 31 total lifts. The ski and snowboard area is so big that it’s impossible to explore in just one visit. Included in this terrain is multiple learning areas, the wide open back bowls, and gladed tree skiing in Blue Sky Basin. The back bowls are a totally unique skiing and snowboarding experience, with over 3,000 acres of wide-open riding high in the Rockies. The quality of the views, and the skiing are what have made Vail famous. With plenty of options, Vail is a great family destination because there is something for everyone to enjoy. Monarch Pass ski and snowboard area is a blast from the past, with a small community feel, and minimally developed infrastructure; it’s also a powerhound’s paradise with short lines and deep powder. 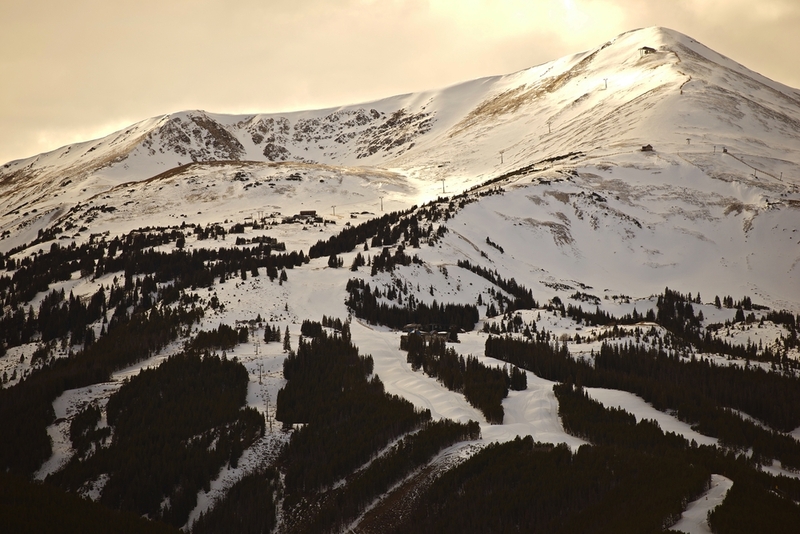 Located at the summit of Monarch Pass, in southern Colorado, the small ski area receives over 350” of snow each year. This location is somewhat remote, however, the trip is worth it because of the great terrain, including the hike-to Mirkwood area. Telluride is a quintessential Colorado mountain town, with a great ski and snowboard area to match. 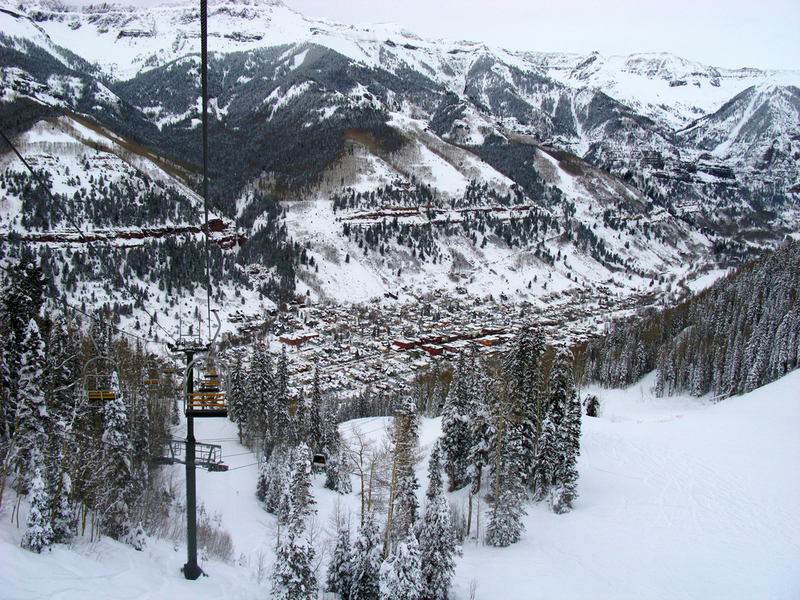 Telluride has a wide array of terrain and great lift infrastructure to service it. 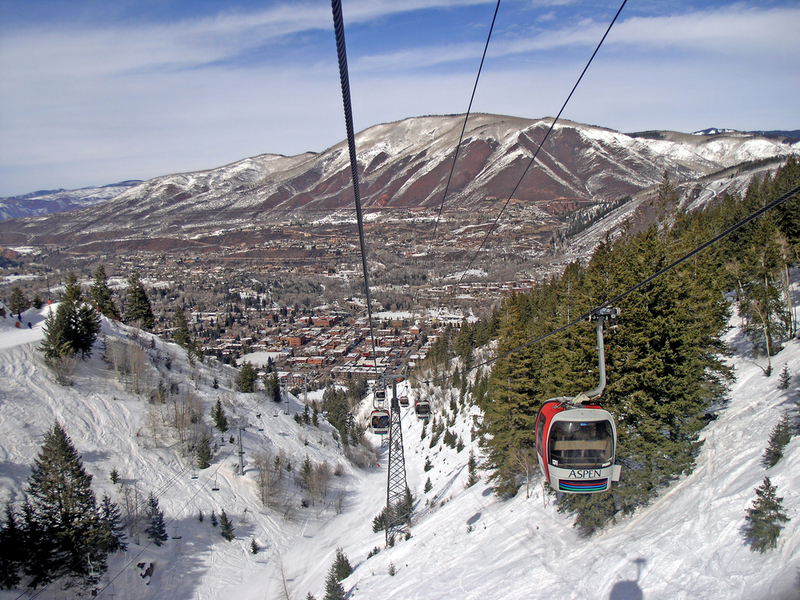 With a unique layout, skiers and snowboarders can take a gondola straight from town, or begin at one of the other two base areas. From there, the terrain and views are seemingly endless. High up on Palmyra peak skiers and snowboarders can climb the “stairway to heaven,” a small metal staircase on the knife-edge ridge, that accesses the expert only Gold Hill Chutes. Look down, if you’re brave enough, and you’ll have views across the San Juan Mountains, a sub-range of the Rockies. Beginners and intermediate skiers and boarders have plenty of terrain to choose from as well. Less than a two hour drive up I-70 from Denver, Copper Mountain has nearly 2,500 skiable acres for skiers and snowboarders to explore. With three separate base areas, there is terrain for everyone, including the Union Creek base, which caters solely to beginners and intermediates. Advanced skiers and snowboarders will love to explore the alpine terrain and bowls, including the free Tucker Mountain snowcat. Copper Mountain is famous for continuously being the first ski and snowboard area to open a full size halfpipe, to go along with its world-class terrain parks. This variety makes Copper Mountain a great family destination. Copper Mountain is not run by Vail resorts, making it a little bit less crowded, too. Purgatory, formerly known as Durango Mountain resort sits just outside of the small southern Colorado town of Durango. The ski and snowboard area is very family friendly, and has a great progression of terrain from beginner to intermediate and advanced. Those advanced skiers and snowboarders will want to head to the new Legends chairlift for some nice tree skiing. Durango is one of a dwindling number of small and undeveloped mountain towns in Colorado, and a nice break from the bigger ski areas in the state. 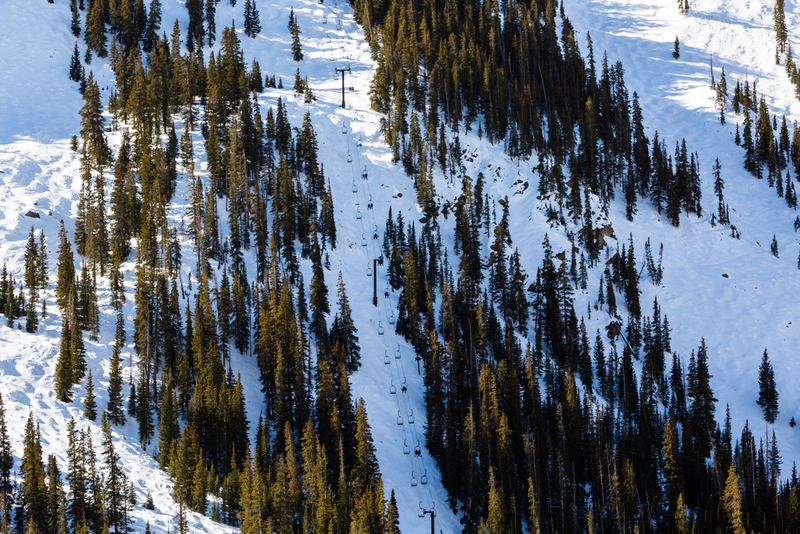 Winter Park and attached Mary Jane are mountains made for skiers and snowboarders. 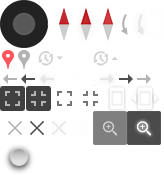 With a dedicated local following, visitors will find a welcoming community for beginners and experts alike. 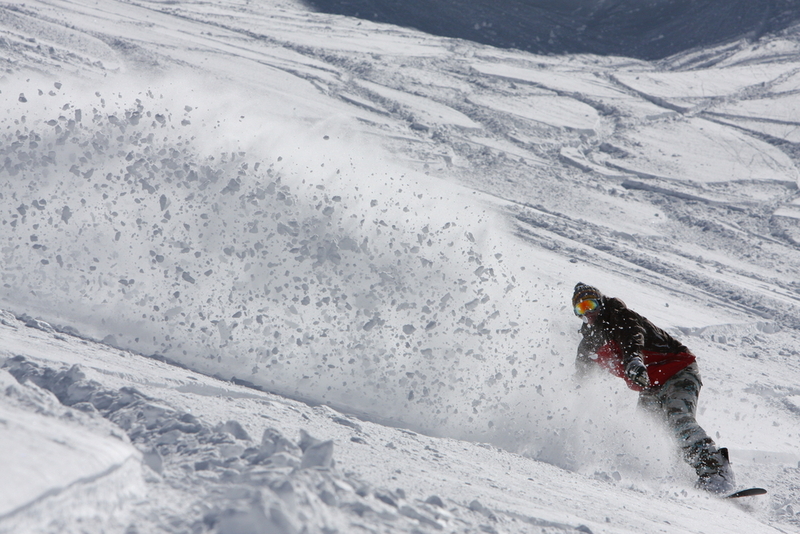 Mary Jane is famous for it’s thigh-burning moguls and sweet tree skiing. There are powder stashes here that can last for multiple days after a good snow storm. Meanwhile, Winter Park has solid beginner skiing, and a great under the radar terrain park. High up between the two base areas is Parsenn Bowl and The Cirque. 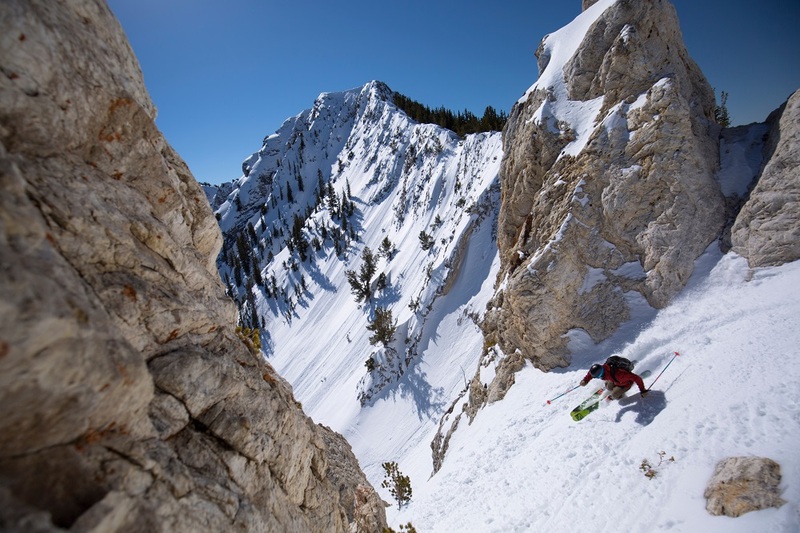 These alpine bowls are steep cliff and natural-feature filled playgrounds for advanced skiers and snowboarders alike. 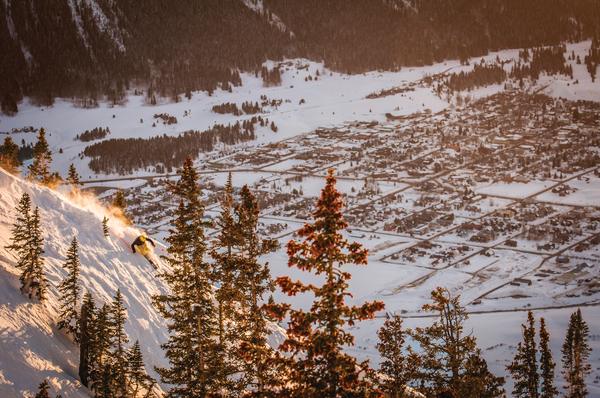 Crested Butte is a classic Colorado ski and snowboard area, with a laid back mountain town feel. The town of Crested Butte sits a couple miles down the road from the ski and snowboard area, and is almost as charming as the powder is deep. There is an abundance of intermediate and beginner terrain, however the ski and snowboard area really shines for its advanced and expert terrain. These rocky cliff, chutes, and bowls off the High Lift and North Face lift are not only the host to extreme skiing and snowboarding events, but some of the best in Colorado. 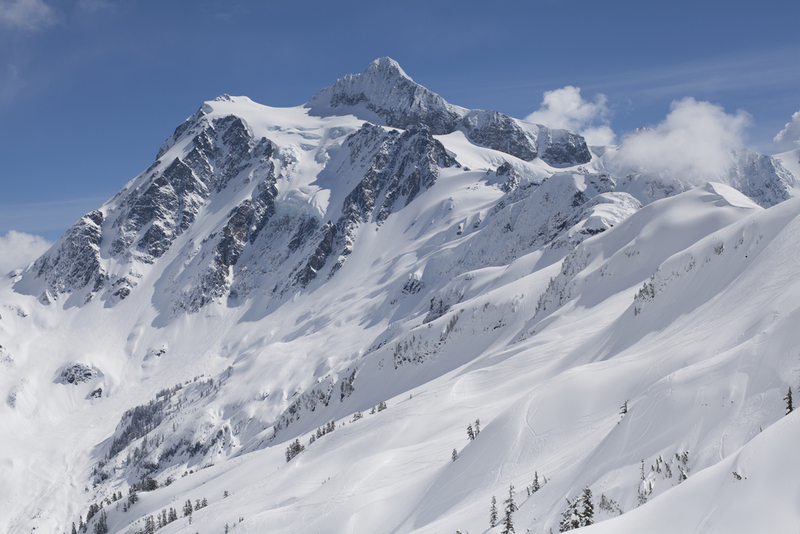 Silverton offers skiers and snowboarders a true backcountry experience in a safe and controlled atmosphere. There is no doubt about it, with no beginner terrain and only one chairlift, Silverton Mountain is all about the skiing and snowboarding. For the majority of the season, all skiers and snowboarders must be accompanied by a guide, who will be their personal ticket to exploring the awesomeness that lies in the natural terrain off the single lift. This is some of the steepest and gnarliest inbounds terrain in Colorado state, and the country as a whole. Nestled in the southwestern corner of Colorado, Wolf Creek Pass ski and snowboard area is off the beaten path and easily missed. 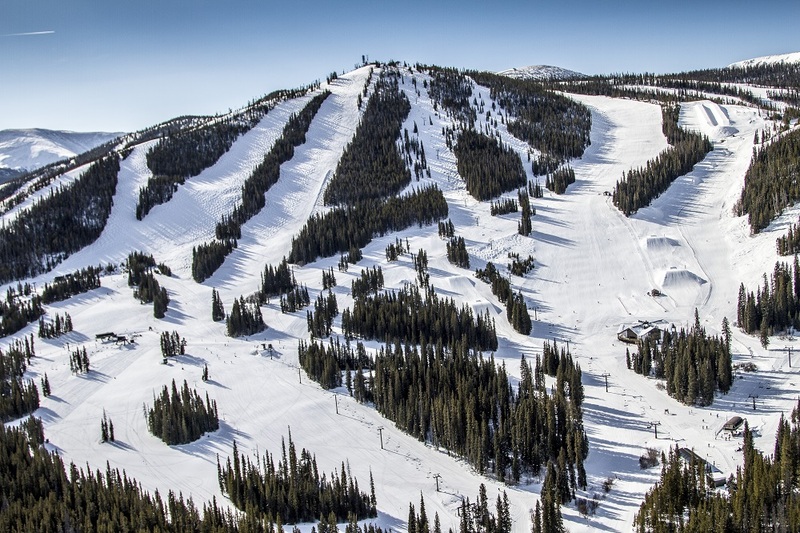 However, with 430” of annual snowfall, Wolf Creek receives the most snowfall of any ski area in Colorado. 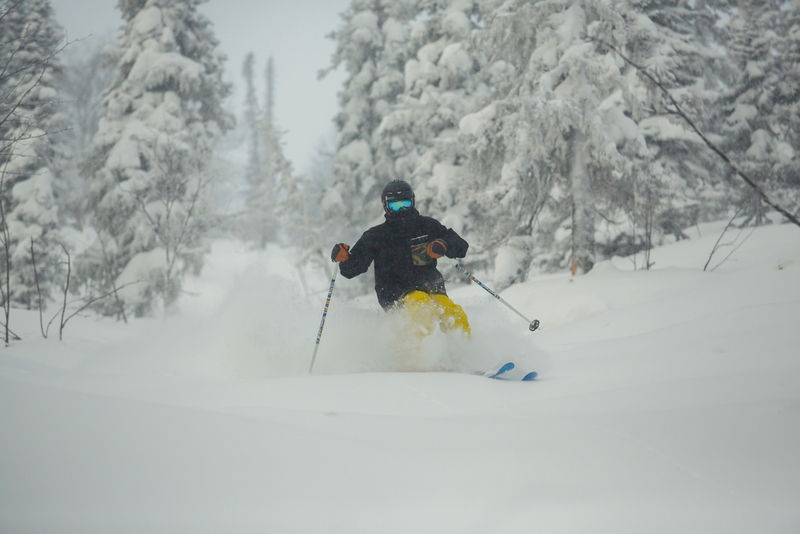 This huge snowfall and a remote location mean that powder stashes can last for days after a storm. 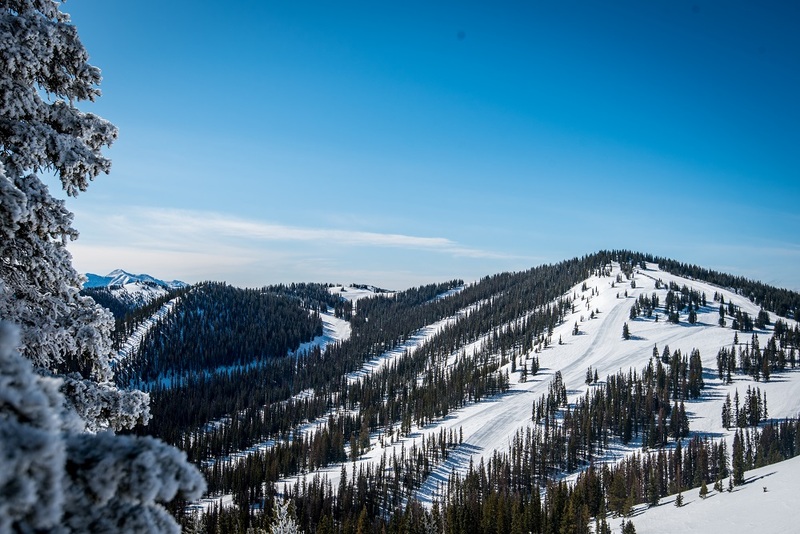 With a vertical drop of 1,600’ Wolf Creek is smaller than most Colorado ski and snowboard areas, but the quality of the snow and terrain make up for the size. The Alberta chairlift serves the Knife Ridge, which advanced skiers and snowboarders will love for its steep chutes and cliffs. The area is minimally developed and has a small-mountain feel, that pairs great with the sparsely populated slopes. Beaver Creek is a luxury ski area, with a bevy of services pampering skiers and snowboarders; this doesn’t mean, however, that there isn’t great skiing and snowboarding at the Vail sister-resort. With the slogan of “Not Exactly Roughing It,” comfort and guest experience are the number one priority at Beaver Creek, this is evident by the the small things like free cookies and escalators to take skiers and snowboarders to the lift. The terrain itself caters towards intermediates and beginners, although the Stone Creek Chutes and other advanced areas do hold some sweet powder stashes. A bit farther from the city of Denver than the other ski areas of the I-70 corridor, crowds can be thinner here, and the beginner skiers don’t often travel off piste to these areas. 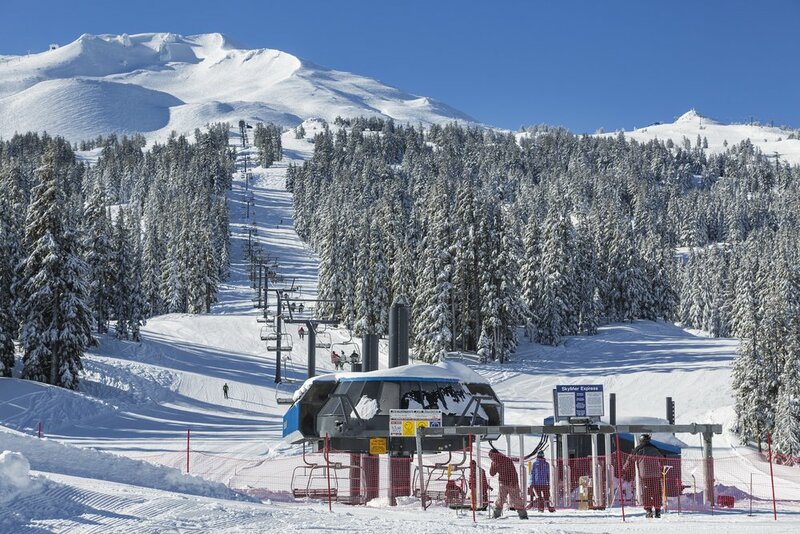 Breckenridge is a huge ski and snowboard resort that is spread out across four peaks of the Ten Mile Mountain Range. 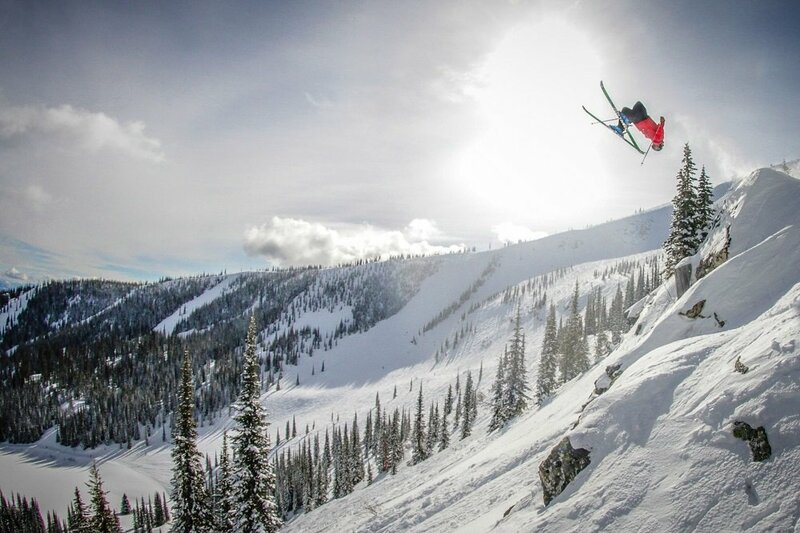 With its sheer size there is obviously a great variety of terrain, ranging from exposed alpine bowls, to great skiing, and a world-class terrain park. Breckenridge, or Breck for short, holds the highest chairlift in North America with the Imperial Chair reaching all the way up to 12,840’. The terrain parks are giant, and have a full progression of features from easy jumps and rails to the 70’ jumps that are used for the Dew Tour ski and snowboard competitions. These terrain parks are serviced by their own chairlift and are constantly ranked as some of the best terrain parks in the world. All of this great skiing and snowboarding is only 90 minutes from the city of Denver, which does bring large crowds on weekends and holidays. 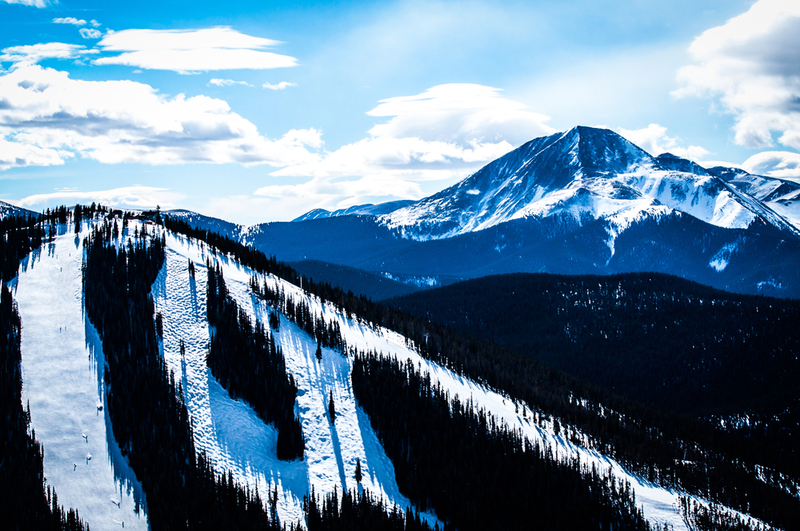 A close neighbor to Breckenridge, Keystone offers a similar mix of terrain and terrain parks. Keystone is one of the best family ski and snowboard areas in Colorado, with great learning infrastructure and beginner terrain. While it may not have the huge selection of high alpine bowls like Breckenridge, Keystone does have some good advanced tree skiing and snowboarding in The Outback area. The terrain parks at Keystone are some of the best in the world; many professional skiers and snowboarders call these terrain parks home throughout the season. Keystone resort is also one of the few ski and snowboard areas in Colorado that offers night skiing. Powderhorn’s 1,600 acres make up Colorado’s western-most ski and snowboard area. This small, family oriented mountain rarely sees the crowds of other Colorado ski and snowboard areas. 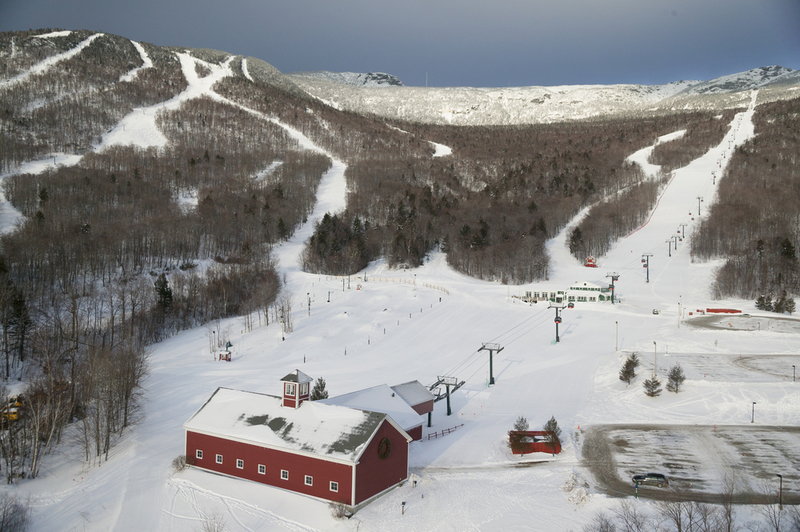 At Just three chairlifts, it is certainly one of the smaller resorts in the state, although it still has some enjoyable tree skiing and snowboarding.